Daddy bought N a huge poster that shows all of the letters and an item each that begins with that letter. N LOVES it and wants to talk about it all the time, but we have a hard time keeping the poster on the wall because it’s quite heavy, and every time N touches it, it tears off the pushpins just a little more. And he’s two, he’s going to touch the letters and images! So I’ve made him a set of Alphabet Posters A-Z with a poster for each letter (they come in a version with the lowercase and uppercase letter, a version with just the lower case, and one with just the uppercase letter) that I’ve laminated and that are way easier to keep on the wall – and if one falls off, it’s easy to put back up without affecting the others. 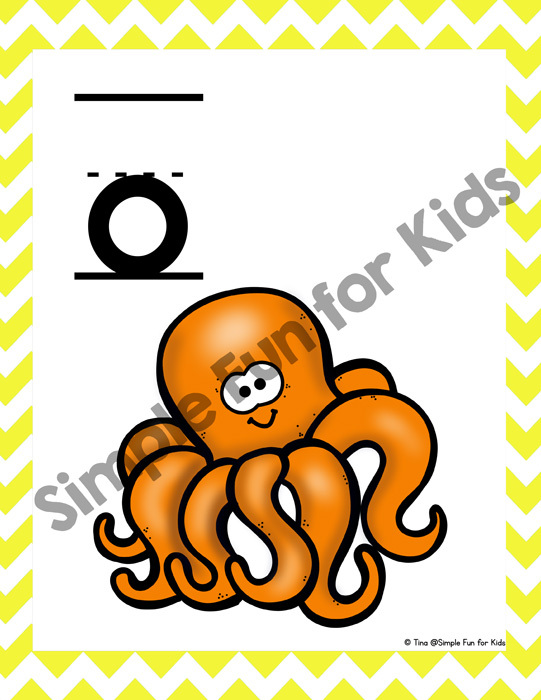 The set is also great for focusing on just a few letters at a time to start with. 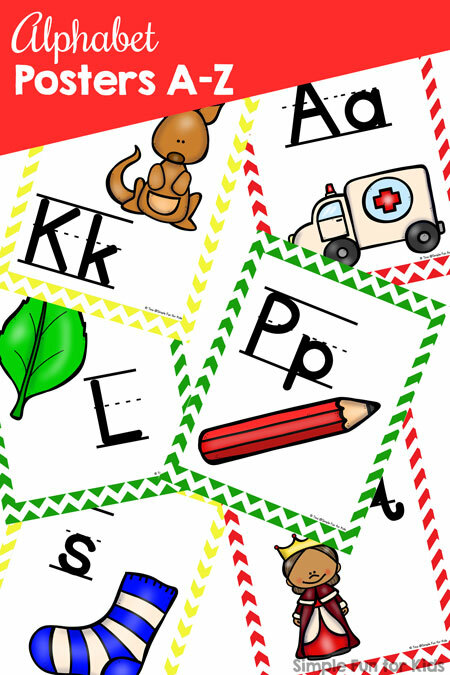 This set of alphabet posters also works great on the wall of a toddler, preschool or kindergarten classroom! This set of posters includes a total of 78 full-page letter posters with three posters for each letter from A through Z. 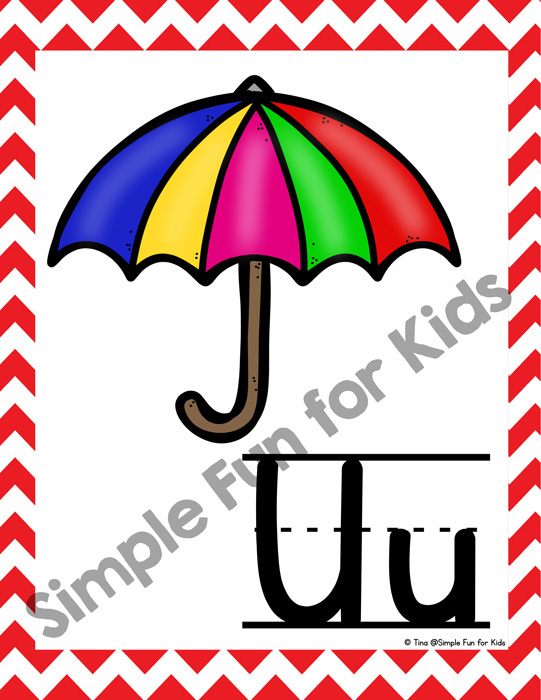 Each poster has a colorful image of something that starts with the letter, the letter either in upper case, lower case or mixed case, and one of four different colored chevron frames (red, blue, green, and yellow). N also likes to take the posters off the wall and play with them on the table. 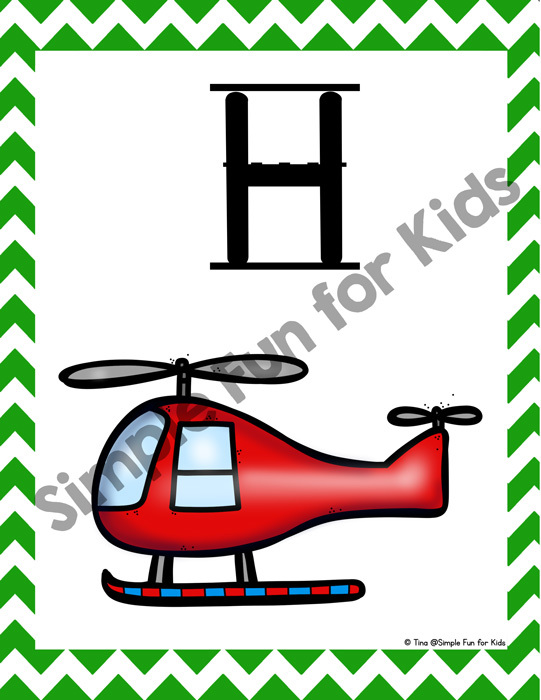 The different frames allow us to sort the posters by frame colors or we go through them along with the alphabet song. and Z is for zebra. Purchase Your Alphabet Posters Right Now! Got problems with the purchase? Email me and I’ll be happy to help!